What could be better than barbecue? Barbecue with bourbon, of course. 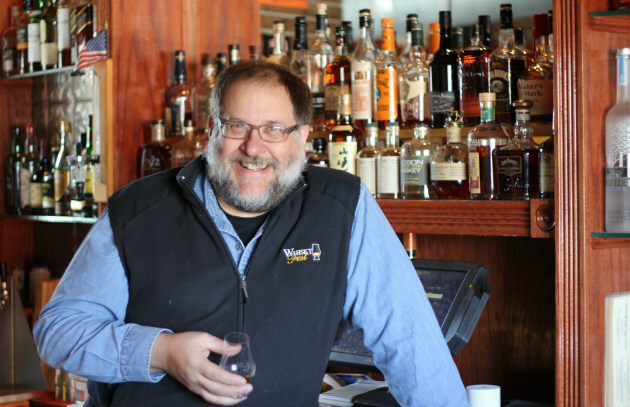 This week my fellow Workman Publishing author, Lew Bryson, writes a guest post on a new twist on the classic American long drink. Read it, try the recipe, then read his excellent book, Tasting Whiskey. And remember Davey Crockett’s immortal words about whiskey: “It makes a man warm in the winter, and cool in the summer.” Amen. So said my brother-in-law Carl as we approached the buffet at Ralph’s barbecue in Roanoke Rapids, NC. But although Ralph’s had a delicious spread, and we did it justice, all they had to drink was sweet tea. That’s some of the reason I like to do my ’que at home. My pit has a bar, and I can have something with a bit more stand-up to it while I’m tending the blue smoke. Smoking it low and slow brings its own challenges to the bourbon drinker. You can’t dive in head-first, guzzling like a greenhorn; but sipping slow is not always satisfying either. When you’re smoking fish, you can have a couple snorts while you’re chopping onions and mixing up horseradish cream, and be good to go when it’s smokey and flaked up. But when it’s pig or brisket and you’re slowly stoking a good smudge over a round of the clock or two, sipping isn’t going to do it, especially when the summer’s hot and sticky (or when the frost is on the punkin, either!). That’s when I go to the highball, the tall cool one…The Long Drink. It’s an underappreciated way of enjoying liquor, and bourbon especially, that has been neglected for years. 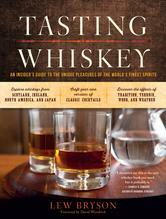 Here’s what I said in my new book, Tasting Whiskey. The first time I heard the word highball was in a children’s book (appropriately enough; I was a child at the time), Mr. Twigg’s Mistake, by the noted illustrator and author Robert Lawson. The main character’s father made highballs for visiting town officials, who had come to complain about the boy’s giant mole. The highballs made friends, and I wondered what kind of drink they were to be so good, and so effective! Years later, I got hold of a cocktail book and figured it out: a highball was simply liquor, a mixer (juice, water, club soda, or a soft drink), and ice in a tall drink. It was a leisurely drink, something you could sip or gulp, a way to stretch the enjoyment of your drink by making more of it. I rooted around in my cabinet till I came up with half-liter Pilsner Urquell glass I’d liberated from some bar over 7 years ago (so it’s past the statute of limitations, okay?). 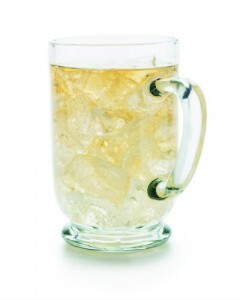 I filled it with ice and glugged in about three fingers of Evan Williams Black Label (and as Jim Beam master distiller Booker Noe was fond of saying, “I have big fingers”), then topped it off with ginger ale and a good squeeze of lemon. I dropped the lemon in, gave it a quick stir with one of my big fingers…and now I had a cooling glass of bourbon that I could drink with the gusto and abandon of beer. The magic of The Long Drink! The beauty of this is that you’re not limited to bourbon, and I’ve got a whole list of whisky highballs in Tasting Whiskey: the well-known Jack and Coke, the surprisingly refreshing Scotch and soda, the reliable Canadian and ginger ale (no lemon, thanks), and the bizarre but delicious rye and Moxie (“The Thinking Man’s Jack and Coke,” a favorite bar calls it). Some of the Kentucky distillers introduced me to a thing they call “Kentucky Tea.” Again, a long drink in a tall glass: drop some ice in there, a good chunk of bourbon, and up to twice as much water. The bourbon shines through like sunlight, and you’ve got a good drink you can enjoy with dinner (or with making dinner, all through the afternoon and into the evening). Ah. It’s like Colonel Davey Crockett said about whiskey: “It makes a man warm in the winter, and cool in the summer.” Cheers to that, Davey.